Pro: sehr hochwertig verarbeitetes Convertible; reichhaltige Ausstattung; exzellente Tastatur; hervorragende Systemleistung; Stift in Basiseinheit einsteckbar; sehr gute Grafikeigenschaften; optional mit OLED-Display erhältlich; umfangreiches Zubehör verfügbar. Contra: durchschnittliche Display-Helligkeit; mittelmäßige Bildschirmauflösung. When something is working well, you don’t come up with an all-new formula. You augment it until you have something that’s almost perfection. 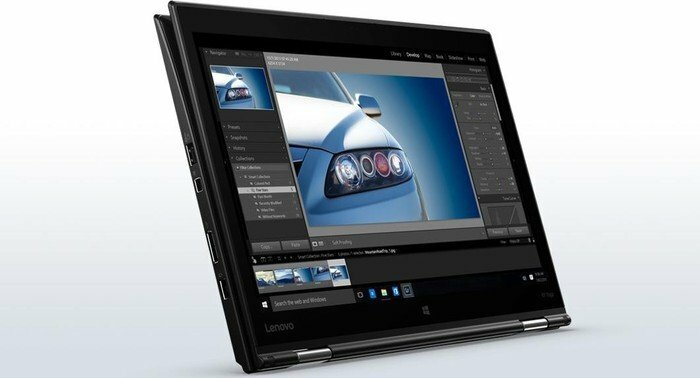 For a long time, Lenovo described its ThinkPad notebooks as machines that are made “for those who do. 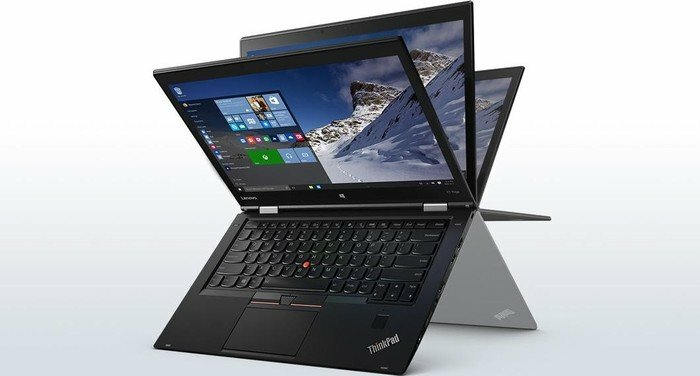 The $2,289.60 price of our Lenovo ThinkPad X1 Yoga OLED review unit is pretty expensive but, at the time of this writing, you can purchase the entry-level X1 Yoga with a FHD (1920 x 1080) IPS-Touch display directly from Lenovo’s website for $1,394.10 with instant savings. The same entry-level configuration with WQHD (2560 x 1440) OLED Touch screen costs $1,682.10 with instant savings. That means you’re paying close to a $300 premium for both OLED screen technology and WQHD resolution. If we planned to purchase the X1 Yoga and had the budget to spend an extra $300 then we would happily do so for OLED, but we recognize not everyone will be in that position … and some people would rather have the anti-glare IPS display rather than a glossy OLED. 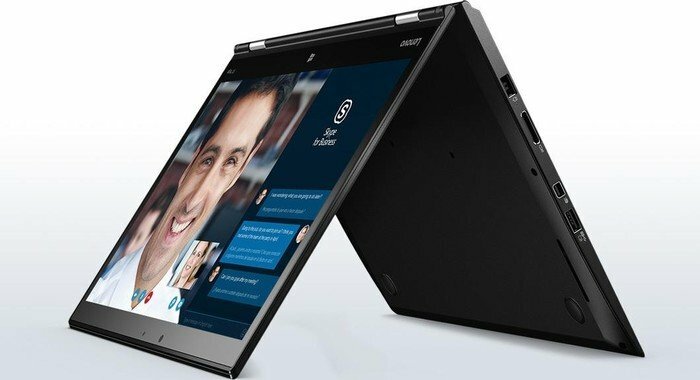 The Lenovo ThinkPad X1 Yoga with an OLED display offers the same top-notch design, functionality, and performance as the original Editors' Choice X1 Yoga. The internal components also received an upgrade, so it's definitely more expensive, but the picture quality boost is clear. That said, as good as the OLED screen is, it's a premium that may not be worth it to many users, so the excellent ThinkPad X1 Yoga remains our top pick for business convertible-hybrid laptops. If you have specific interest in or need for an OLED screen, though, the display on this laptop is sharp, vibrant, and comes with our recommendation. 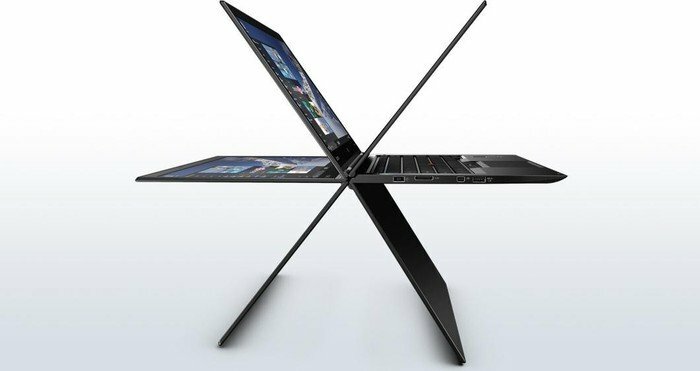 Lenovo's ThinkPad X1 Yoga is more than the sum of its parts. It may not be at the top of the heap if you look at the performance, battery life or display numbers by themselves, but in practice, I found it did everything I needed to do and did it well -- and was, in fact, a joy to use. The X1 Yoga belongs on anyone's list for the latest and greatest. Sure, we'd have liked to see the inclusion of USB 3.1 or Thunderbolt 3, but the combination of the X1 Yoga’s OLED display and NVMe SSD (plus excellent keyboard, clickpad, and eraserhead) make this laptop one of the best. We can’t stress enough that you shouldn’t judge this machine by its photographs. You’re viewing them through an LCD screen—go out and see that screen yourself. `The X1 Yoga belongs on anyone's list for the latest and greatest. Sure, we'd have liked to see the inclusion of USB 3.1 or Thunderbolt 3, but the combination of the X1 Yoga’s OLED display and NVMe SSD (plus excellent keyboard, clickpad, and eraserhead) make this laptop one of the best. We can’t stress enough that you shouldn’t judge this machine by its photographs. You’re viewing them through an LCD screen—go out and see that screen yourself. It'll likely be a while before OLED becomes the norm on laptops, but the Thinkpad X1 Yoga is a fine example of why we'd want it in all of our devices. Yes, even in a laptop that looks like it belongs in a boring corporate cubicle. That could also be appealing to some buyers: it looks like a dull Thinkpad on the surface, but it'll blow your mind when you actually turn it on. Honestly, I found the ThinkPad X1 Yoga to be a refreshing Windows-based notebook experience. If anything, the notebook itself gives Windows 10 a good reputation. The two worked together seamlessly to provide an easy to use, yet fully equipped experience. 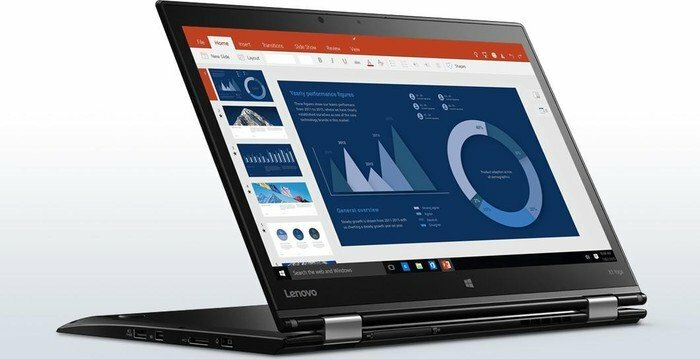 Where Windows 10 did not have an easy to use solution, Lenovo offered support through their super simple configuration application. I have to be honest; I am not a tablet guy. I actually gave away my last tablet, but I found myself using the tablet mode just because it was there and I required a more compact device. At first, the idea of a 2 in 1 seems like a gimmick, but there are situations where the design is warranted, and Lenovo has done an excellent job with the form factor. 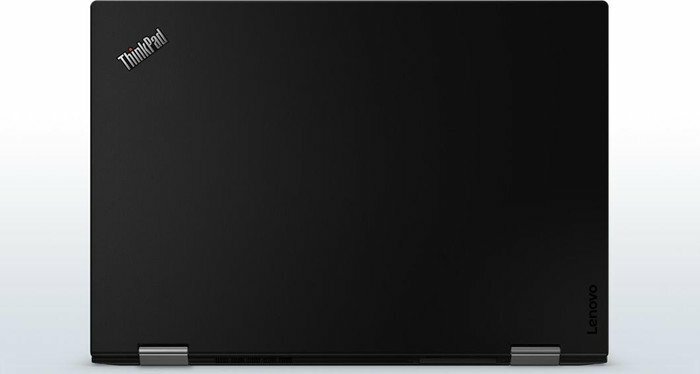 Apart from the cost, the ThinkPad X1 Yoga is pretty much perfect to my mind; the screen is large enough to use all day without once wishing for an external monitor, everything from the keyboard to the stylus is faultless, and the performance is good enough to please all but the most demanding users. Factor in the flexibility on offer and it’s nigh-on unbeatable. Beg your IT department for one now. Positive: Comfortable keyboard; trackPoint with traditional mechanical buttons and high accuracy; resistant slim. Negative: Flickering screen due to the PWM control; buggy software / drivers. 6600U: Auf der Skylake-Architektur basierender ULV-SoC (System-on-a-Chip) für schlanke Notebooks und Ultrabooks. Integriert unter anderem zwei CPU-Kerne sowie eine Grafikeinheit und wird in 14-Nanometer-Technik gefertigt.» Weitere Infos gibt es in unserem Prozessorvergleich Vergleich mobiler Prozessoren und der Prozessoren Benchmarkliste .